What is your message about? Wordpress is a fantastic choice if you want to be able to maintain your content through a simple to use admin area. Please let me know any additional info that might assist me with your project. osCommerce is a highly customisable piece of software that can be used as the base for your online store. Please let me know any additional info that might assist me with your project. Static web sites are easy to produce and great if you're on a budget. Please let me know any additional info that might assist me with your project. If you're not sure what you need, that's cool. Please let me know any additional info that might assist me with understanding your project. Logo design is very important to conveying your brand and ethos to your customers. Please let me know any additional info that might assist me with your project. Creating a custom set of icons to compliment your existing branding adds a touch of class to your web sites and applications. Please let me know any additional info that might assist me with your project. Print graphics use a different medium to web graphics, and require special attention to detail. Please let me know any additional info that might assist me with understanding your project. Feel free to drop me a message with any comments below. 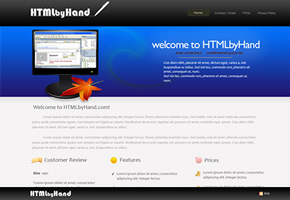 Would you like a web site like this? 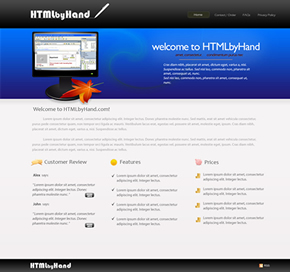 HTMLByHand offer a service to create web sites purely in HTML, coded by hand (no WYSIWYG editors, such as DreamWeaver or FrontPage). I was asked by a colleague if I would create a site design for their new venture, which they would then use to test the services offered and, with teh final product, advertise their web site. The site design was required to be a simple layout to aid the coding process, but it also needed high-quality graphics to hep to showcase the client’s services. This entry was posted by DataMouse. Bookmark the permalink.